Speaking Tree Lemongrass Essential Oil is a 100% pure, natural, steam distilled and therapeutic oil with skin healing properties. It works magically in assisting skin, hair, muscles and ideal for a refreshed look. Its antiseptic and astringent properties make lemongrass oil perfect for getting even and glowing skin. Suitable for all skin types. 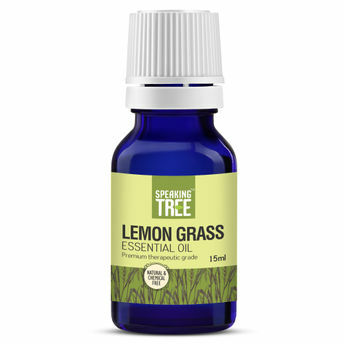 Alternatively, you can also find many more products from the Speaking Tree Lemon Grass Essential Oil range.